Google told us today that the “penguins won’t march again” this year. Marching is a pretty good description, since marching implies a regimented, formalized, “everyone move out of the way” type of procession. I don’t think it’s any mistake that Google used that verb, because every time Penguin has updated (as infrequent as it’s been), it’s “marched all over” website owners. Whether they knew it was coming or not isn’t the issue, and whether they did anything to deserve it, even less so. The issue is that Google is taking a Third Reich type approach to search (Edit: This is meant to be a joke based on Godwin’s law and the early days of usenet, not to equate Google with Hitler). No longer the open opportunity equalizer that search used to be, increasingly small business owners find themselves pushed out, either because they don’t have the budgets to create buzz the way large companies do, or because they don’t have the money to hire good quality SEOs the way that large companies do. Google is one of the most technologically advanced companies in the world. They have an enormous codebase, thousands of powerful servers, superhuman programmers, and every resource available at their disposal. So why has it taken over 15 months to fix this problem? The answer is that Google’s heavy-handed policies (right or wrong, doesn’t matter) have forever changed the way that webmasters interact with each other. No longer a free and open exchange of ideas, webmasters are afraid to even mention other sites. They’ve carefully sculpted their sites with strategically placed canonicals, 404s, 410s, and noindex commands. They’ve nofollowed all their outbound links just in case Google thinks they are linking out too much. Webmasters live in fear of a Google smackdown. Contrast this with the free and open exchange that the internet was conceived of – a cooperative online “society” that could share science, math, art, and literature. The early days of the internet were without search engines; indeed the only way you made a site “visible” was by participating in a webring or engaging in some similar link-based partnership. Google capitalized on that with their PageRank algorithm, thinking that if lots of sites linked to another site, it must have some value. Positive or negative sentiment didn’t matter; if it was linked to often, it was likely to be something that others might want to see. Google pioneered their search engine and all of their technology – the most basic level of their codebase – on this link based system. True that many took advantage of it, and something had to be done. But by creating an environment of negative reinforcement and a penalty based algorithm, Google scared people away from sharing. Now that Google has broken the link system by injecting it with fear and various complicated technical factors that the average website owner doesn’t understand (much less can implement), they’ve created an environment where the most basic, most central element of their algorithm no longer works. So rather than lamenting that the Penguins aren’t marching again, the collective SEO and internet community should be joyful. This is yet another sign that Google’s algorithm is out of control – even for them – and that drastic, dramatic, and significant change will be required to move forward. Update: Today I was working on a re-branding project. The domain owner is moving to a new domain and wants to update mentions and links from the old one to the new one. Partly for link value, but mostly because they want the new brand referenced correctly. This client has links from places like the NYT, The Wall Street Journal, and CNN. 3 of these major publications (not the ones mentioned) have told us that their new policy in response to Google’s algorithm changes is not to link out to sites at all. They warned us that if they put the piece back through editing the link would be removed entirely. Still think links aren’t broken?! Interesting observations Jenny. I was always focusing on benefits of this Penguin update (such as eliminating bad links) that I totally forget to take into consideration negatives. 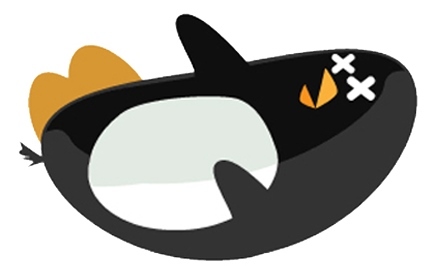 I for one am pleased to hear that “Google” has decided to delay the roll out of the much hated “Penguine update”. They (Google) have in the past decimated more that one of my clients Businesses without any warning nor any sensible way of at least negotiating a re-assesment of the websites concerned. It would’nt have been so bad if they had an internat system of assesing sites and making recomendations as to how fix or optimise the sites in question. I like many others would even have been happy to pay Google a fee for such a service. !! Well at least this year I can relax a little over the Xams period instead of havong sleepless night wondering what dissaster they (Google) had thrown at me. I can see how the joke may have been misunderstood, especially for younger SEOs who weren’t around back in those days. Or for anyone unfamiliar with Godwin and his law of Nazi references. That said, this aligns with my viewpoint about Penguin and the penalty obsession stuff as a whole. I get why a penalty might be required to push shallow, poorly written, or scraped content down (RE: Panda for non-SEOs). But for links, it’s rather easy to simply discount the value of links that were clearly acquired through shady means. When you string up website owners and burn them at the stake like back in the crusades, all it serves to do is scare everyone away from playing the game in the first place. This is what we are seeing with the NYT example at the end of your post. Not to mention the collateral damage risk that is so pervasive as round after round of Penguin Band-Aids are rolled out successively. I appreciate your colorful analogies Jenny, and am very hopeful Google takes a more rational and practical approach to the next generation of Penguin updates. Thanks for your thoughts, Tommy. I sort of doubt that Google will change their attitude towards “breaking the spirits” of spammers, but I do think that part of the algo is in trouble as a long term metric. Google and their updates have destroyed my business and not only are they out of control they are dead wrong. Computers can not evaluate customer experience. My site, a travel related site in a different country was number one for 15 years. I ran a great business and offered a great service. I was the only business in the area that offered an 800 toll free number for people to call and speak to someone in English who had spent 20 years in the tourist destination. How can that be a bad service? Well, because there is a toll free number, people get on the site and call. I give them the information they need and they book with me. Now google says because they do not click through every page of the website they are not having a good experience when it is completely the opposite. They need to click through all pages, send endless emails with no replies and fight a language barrier with everyone else. My site clearly offered the best service yet I went from number 1 for 15 years to off the first page. We all know what that means…. you are pretty much out of business. GOOGLE IS WRONG AND HAS DESTROYED ME! Amen. The way google has stacked the deck, small businesses simply cannot compete on the internet anymore. You have to have a team of SEOs and marketers to get any kind of traction. And the irony is that the internet used to do exactly the opposite. It leveled the playing field and let small businesses compete on this new open, global marketplace. But now unless you are in a niche business, the serps are dominated by huge corporations. Not sure the Nazi/Hitler analogy is really necessary to make the point that Google is doing things that are destructive and unethical. Yes, I apologize for that. It was a geek attempt at humor. Godwin’s law states that the longer a conversation goes on, the more likely someone will be to compare it to Hitler. I thought our conversation about this has gone on long enough, and that if I was going to evoke the early days of usenet and internet listservs where that behavior originated, people would get it. The vast majority of people did not get the joke. I hope it doesn’t get in the way of the point.